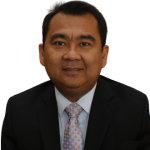 Martin Hutagalung is a senior director for BGA in Singapore. In this role, he is responsible for managing, maintaining and expanding a portfolio of BGA client relationships by ensuring best-in-class advisory service, products and analysis. He also engages in high-level business diplomacy with clients and stakeholders across government, business and civil society. Martin is an experienced government affairs professional with over 15 years of experience in Southeast Asia and the United States with the Smiths Group, General Electric (GE) and the U.S.-ASEAN Business Council. As head of government relations and business development at Smiths Group, Martin devised and executed the company’s relationships with key government and regulatory officials across the Asia Pacific region. He also provided strategic leadership to business development efforts in the region, by identifying and pursuing commercial opportunities that promote future growth. Earlier, Martin was the director of government affairs and policy for GE Indonesia where he was responsible for leading and managing government relations for the company’s business and services in Indonesia. Martin spent eight years with the U.S.-ASEAN Business Council, which promotes trade and investment between the United States and Southeast Asia, before joining GE. He began work at the council in Washington, DC, in 2003 as manager for ASEAN (Association of Southeast Asian Nations) and APEC (Asia-Pacific Economic Cooperation) Affairs and then moved to Singapore in 2007 to be its regional director. Martin earned his bachelor’s degree in international business from George Washington University and his master’s degree in business administration in management of global information technology from American University in the United States. He resides in Singapore with his wife and three daughters.